Festival and Cleo's Melody are the parents. A white , ventral peloric type. 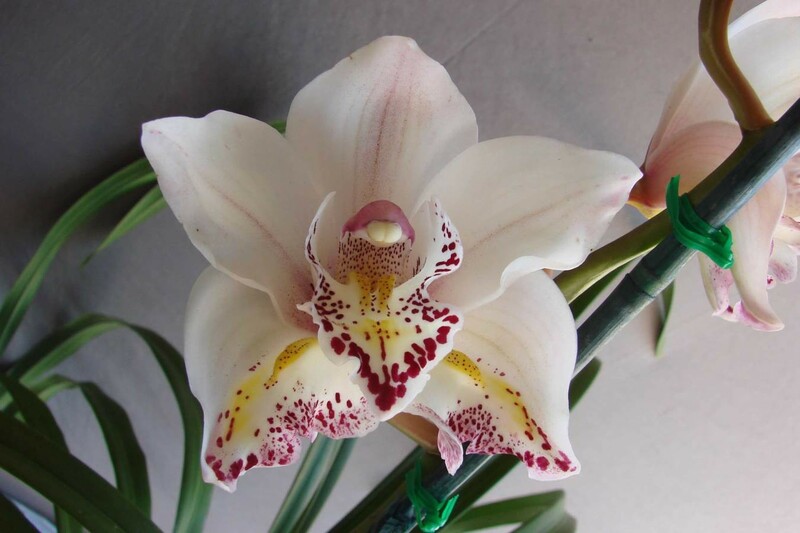 It has a red striped labellum which is also copied onto one side of each of the ventral sepals. Late in the season blooming.